‘The RACE God has set before us’ – . ::3xF Fitness Studio::. I am no stranger to prayer in public places, restaurants, school, work, backstage, etc., none being done for attention nor praise from on lookers, but because God does not just belong in a prayer closest or confined to the walls of the church. Josh and I have had people approach us after blessing our meals publicly several times, neither of us knowing how to respond. It’s always an awkward moment. Yet that does not nor will ever stop us from doing so. God is a part of our daily life. He is in every decision made, blessing bestowed, trial and transgression endured. 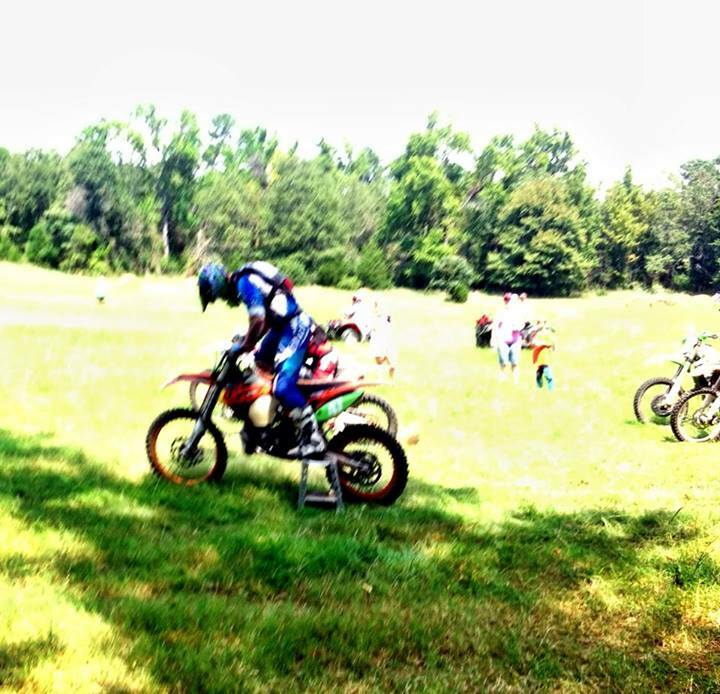 Yesterday I had the pleasure of attending my first dirt bike race. 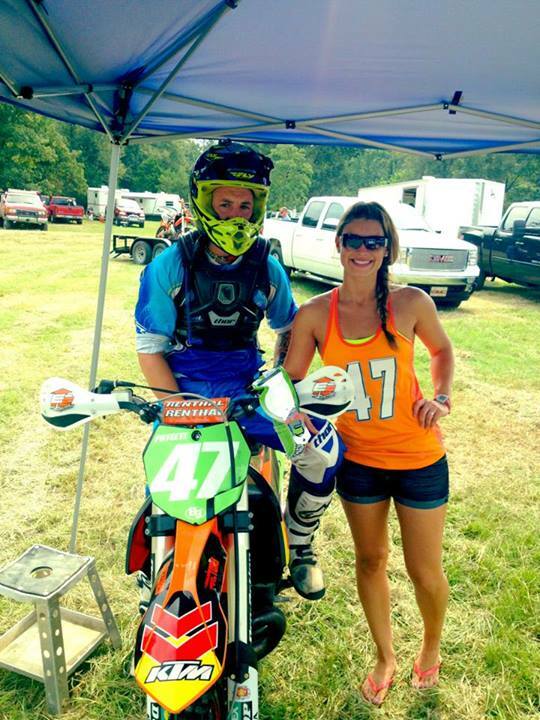 It was Josh’s first race back after taking several years off here in AR. I prayed for him like I always do before he gets on his bike, whether it be just practice on the weekend or on his road bike at home conditioning… but yesterday it was a more specific prayer with the hot temperatures being in the 100’s and a bright cloudless sky. 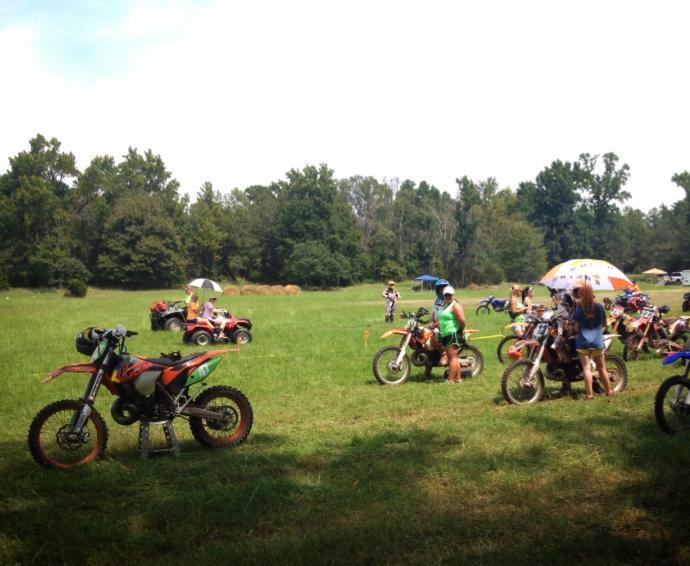 It was a scorture for the spectators; I can’t imagine how hot it was for the racers in full riding gear. 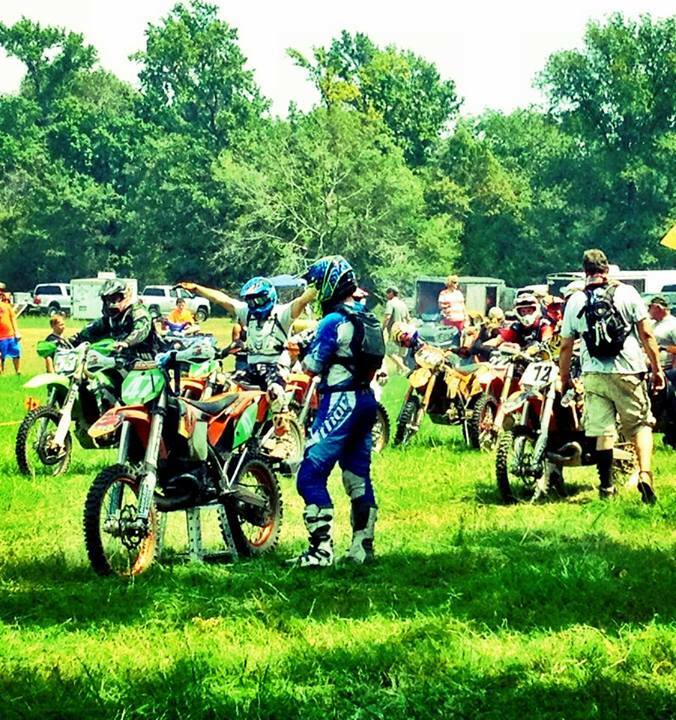 I prayed before the practice lap to myself, as I know he always prays himself on the starting line. Luke 19:26 ‘To those who use well what they are given, even more will be given.’ To hear him give accountability for his talent to God and praise his name and hear the words ‘Jesus Christ our Lord and Savior’ was such a beautiful thing. When we got up several people were looking at us, I was just about to let the enemy distract me with an uncomfortable feeling, when my spirit again whispered Hebrews 12:1-2 ‘Therefore, since we are surrounded by so great a cloud of witnesses, let us also lay aside every weight, and sin which clings so closely, and let us run with endurance the race that is set before us, looking to Jesus, the founder and perfecter of our faith, who for the joy that was set before him endured the cross, despising the shame, and is seated at the right hand of the throne of God. It was a beautiful moment that I will forever cherish, as the flag was lowered and he took off, I prayed again thanking God for blessing me with a man after HIS own heart. Who is accountable to HIM first before all men, with all praise and humility. A witness not just through words, but by action, thankful that he was MY teammate to run this RACE we call LIFE! Your faith is so admirable my friend!! It takes courage in this world to show that faith in God in a day where there are so may “Sunday” Christians or not at all. His lights shine in and through you Drea! This is the most moving thing I have seen since I started blogging, and it is great that you all didn’t let others keep you from giving God all the glory!! Everything we have and are is because of God!!! !